Natural catastrophes bring out the best and worst in people. Most band together, help others and even risk life and limb to save strangers from harm. A few, though, prey on weak individuals and the weakened society. 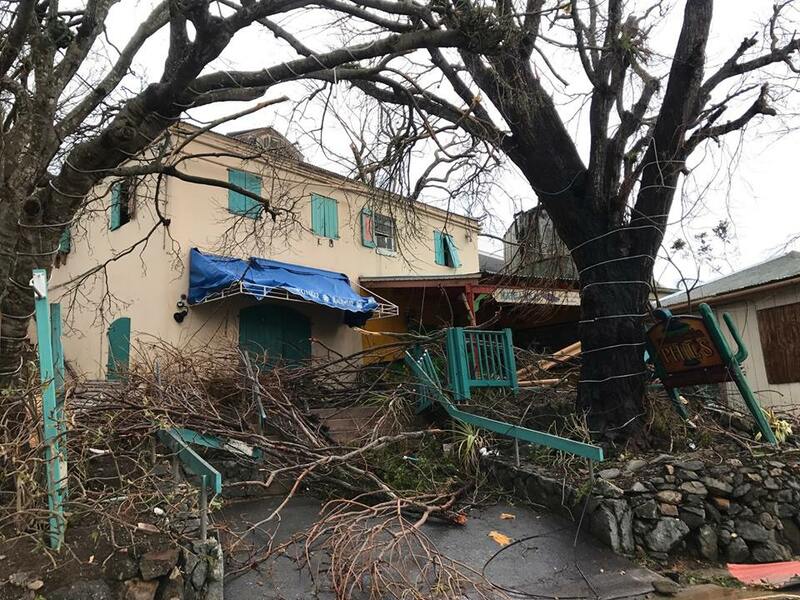 By any measure, Category Five plus Hurricane Irma inflicted catastrophic damage on the small, vulnerable Leeward Islands in the northeastern Caribbean Sea. 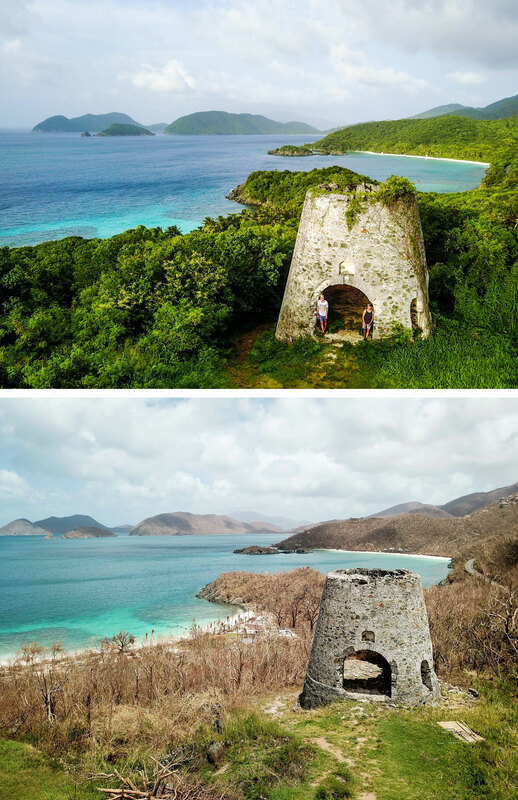 The hardest hit U.S. island is St. John, best known as the primary location of the spectacular Virgin Islands National Park. 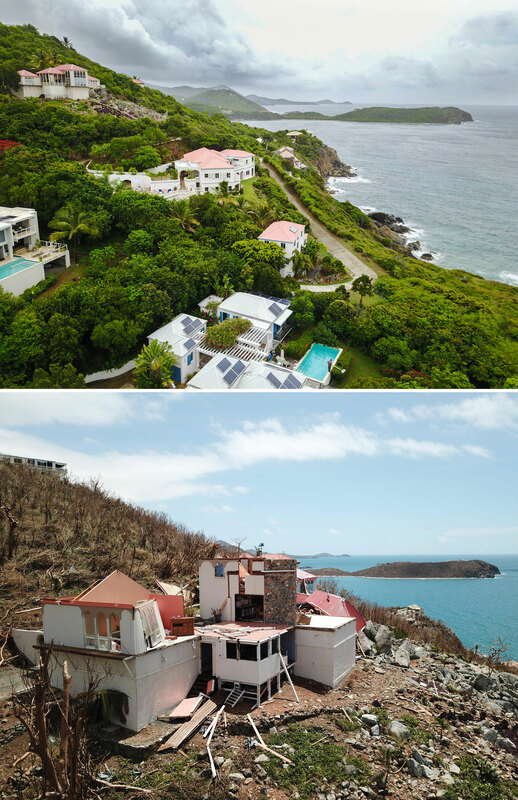 Not far behind in level of destruction is St. Thomas, the capital of the U.S. Virgin Islands. My family and I were fortunate to get off St. John a couple days before Irma struck. I have kept in contact with residents through Facebook and scoured the media for information in the days and hours before the storm struck and in the aftermath. This article is based on those sources. First, just how bad a storm was Irma when it burst upon our idyllic islands? Irma was the most powerful hurricane ever recorded in the Atlantic ocean (without entering warmer Caribbean waters). It also had the lowest barometer (914 mb) ever recorded in an Atlantic storm. It fielded sustained winds of 180 mph. Gusts of 220 were recorded in St. John’s largest town Cruz Bay. On September 6th between the hours of about 1 and 3 pm, the eyewall of this immense force of nature came ashore on St. John’s east end, known mostly for pristine Coral Bay, and plowed over the entire island, exiting over Cruz Bay. It then veered a bit northeast, hitting St. Thomas and then passed off shore of Puerto Rico. Earlier that day, St Johnians were posting on Facebook about their preparations and plans to hunker down in safe rooms and concrete houses as the storm approached. The posts, which later seemed like the last wireless messages from the Titanic, continued until about 1:00 pm when all communications towers and masts on St. John were carried away and electric wires downed. For nearly 24 hours, St. John and its’ approximately 4,000 residents present were mostly silent. Two weeks later, the electricity remains “off” and cell phone service very spotty. Late in the afternoon of September 6 after the eye passed over, mostly young people made their way out of the wreckage in states of shock (“Zombie-like,” people say) and walked over rubble strewn roads into what remained of the village of Coral Bay on the east end and down to wrecked Cruz Bay, the island capital on the west end. Designated EMTs in each village had satellite phones and they began taking down names of survivors – often written by hand in lists on pieces of cardboard – that were then phoned to residents off-island who posted them on Facebook. And, eyewitness accounts began to trickle out. They are remarkably similar. Many reported that the storm’s extraordinary low air pressure caused the worst headaches and earaches ever. One said he thought his head would explode. At the same time, many were also dealing with roofs flying off and windows exploding. Several either got under their beds or pulled mattresses off and held them above their bodies for some protection. For those whose buildings maintained their integrity, many still struggled to keep doors from blowing open, which would lead to their homes imploding. At least two people in different households tied their doors shut with dog leashes and then braced against them, holding the leashes tight in a struggle that lasted a couple hours. Others piled bureaus and other objects against doors and retreated into interior bathrooms, hoping for the best. While the barometric pressure was causing some excruciating pain, the sound of the storm terrified all. Several likened it to being next to a jet engine. And, winds blowing at 150 to 185 mph are in the same range of speed as a Boeing 747 at takeoff. Severely believed they would die. 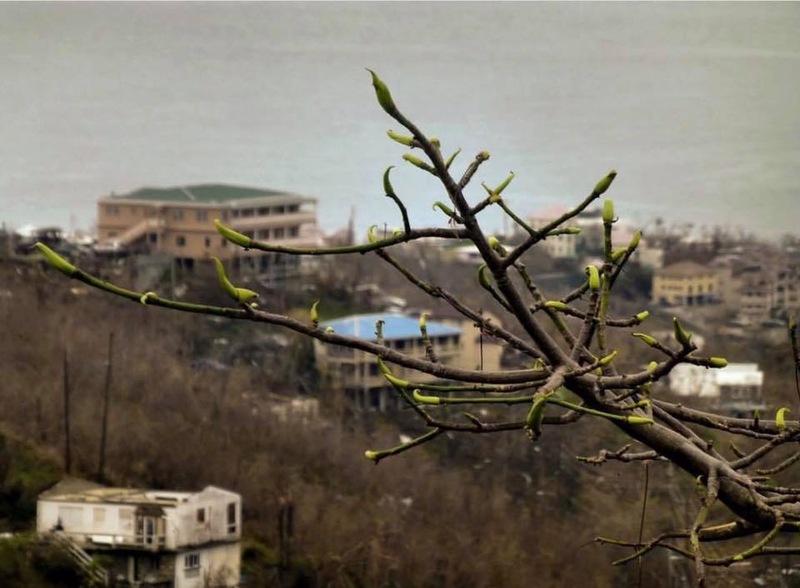 Some residents who were older and lived in St. John’s remote mountains or in spectacular cliff-top villas stayed put and/or found themselves imprisoned in their safe areas by debris. Remarkably, one retired couple who were trapped on their heavily damaged mountain top property for four days were finally rescued by members of the Fairfax County Fire and Rescue squad. That’s right, Fairfax County, Virginia’s rescue squad! A friend down in Coral Bay had told them where to look for the couple on the top of Bordeaux Mountain. On St. Thomas, Fairfax County squad members were also alerted by neighbors to a critically ill elderly woman stuck in her storm damaged apartment. They found her debilitated but alive and delivered her safely to an emergency medical station where she was airlifted to a hospital. How did Fairfax’s finest get there? The squad, which had just returned from rescuing people from Hurricane Harvey’s floods in Houston (where they saved folks in my own brother’s Kingwood neighborhood), left for the Virgin Islands on September 6, following an alert from FEMA. A crew of more than 50 Fairfax squad members drove to an air force base in Florida and was flown to Puerto Rico. From there, they took helicopters to St. Thomas and St. John. As of September 15, Fairfax County had 20 rescuers on the ground in St. John, 30 on St. Thomas and others stationed in Puerto Rico providing logistical support. Sadly, during the first hours following Irma’s passage, St. John criminals looted ATM machines and other commercial targets. Others, desperate for food and water, broke into grocery stores. At the same time, St. John’s own volunteer rescue squad and many rugged islanders worked together to begin search and rescue operations and road clearing. FEMA had a small presence on-island on day one and called for resources from the mainland. Within a few days, the U.S. Navy, Coast Guard, Marines and even the FBI arrived to distribute food, water, bolster the medical staff at the island’s clinic and stabilize the situation. Private non-profit groups and individuals in boats also arrived with resources and professional help from St. Croix, Puerto Rico and the mainland. States and localities like Fairfax also sent help. I estimate that 40 percent of St. John’s dwellings were destroyed or seriously damaged, based on the many photographs and first-hand accounts posted. Many businesses were lost. Yet, to a remarkable degree, home and business owners vow to rebuild and many are already making plans and lining up contractors and building supplies. And, St. John’s remarkable tropical forests and other fauna and flora are already recovering in a natural cycle of rejuvenation that depends upon periodic tropical storms. 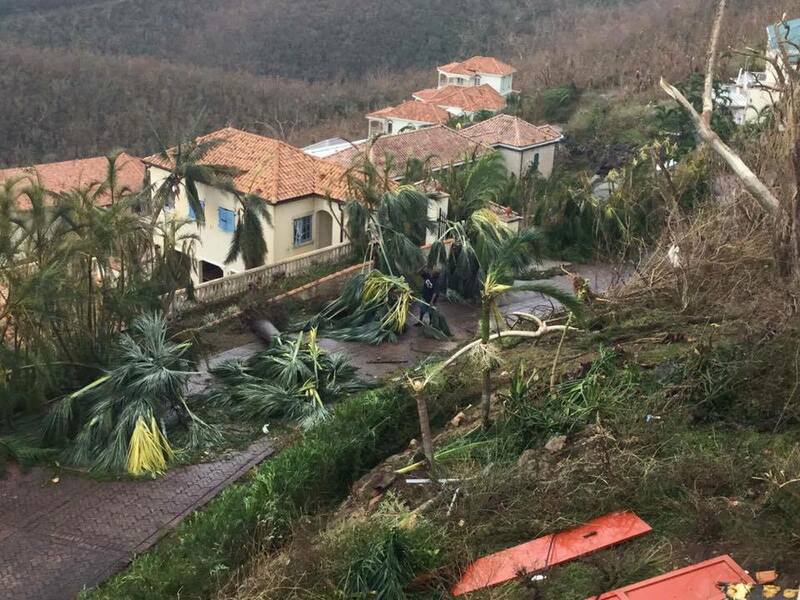 As I write, the core of the somewhat less powerful Hurricane Maria missed, but seriously damaged, the U.S. Virgin Island of St. Croix and slammed directly into Puerto Rico as a Cat 4 hurricane. 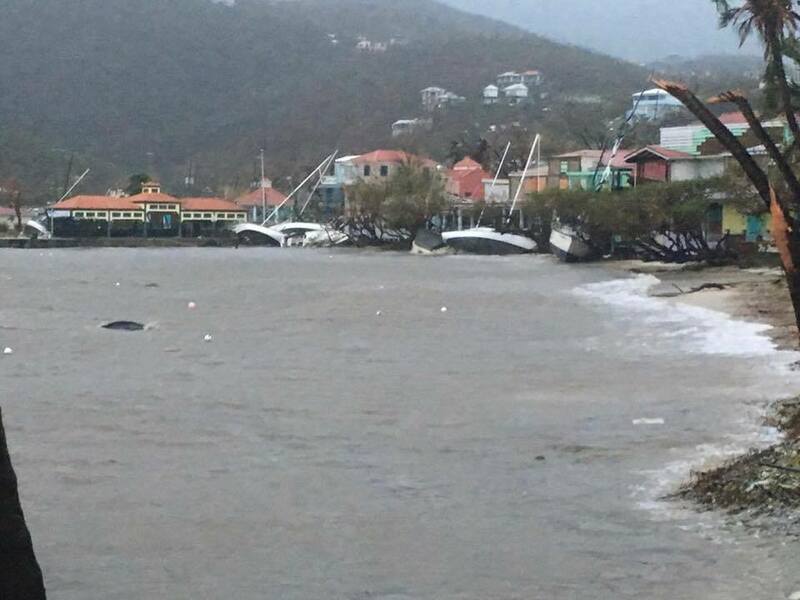 The same Caribbean resilience and resolve displayed by St. Johnians – coupled with help from generous U.S. mainlanders – will stimulate recovery as soon as the clouds dissipate. And, this correspondent’s St. John house survived and I will remain the Caribbean columnist for the Old Town Crier.